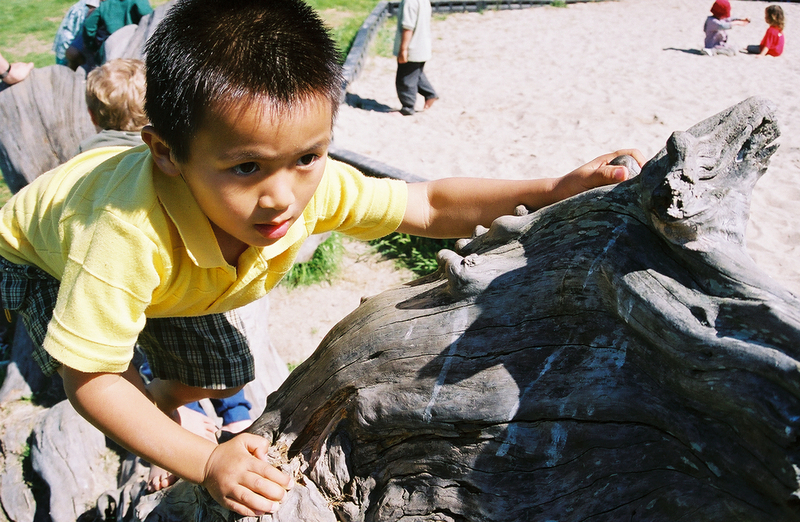 We are a play-based program where children’s play is considered a vital means of cognitive and social learning and the primary means for growth and development. At New School we believe every moment, encounter, activity and “mistake” is an opportunity to teach and to learn “including the transitions, spills, spats and naps.” So when you come at the end of the day and there is paint on your child’s clothes, one sock missing and their cubby is full of strange little treasures, be reassured and comforted in the fact that your child has learned a lot that day and is being well prepared for the adventures in life. Our curriculum and daily structure are designed around the interests and abilities of the children; the curriculum is both developmental in nature and age-appropriate, with everyone’s efforts acknowledged and appreciated.Our curriculum and daily structure are designed around the interests and abilities of the children. It is both developmental in nature and age-appropriate - with everyone’s efforts acknowledged and appreciated. New School activities concentrate on music, art, arts and crafts, dramatic play, and movement. Within the school there are many interesting things to do: cooking, carpentry, music lessons, painting, working with clay, crafts of every variety, soccer and other games, stories and much more. Additionally, the children have the opportunity to take yoga, dance, and sign language. Spanish is an integral part of the preschool program. We also feel that the community offers a wide world of knowledge and field trips are an integral part of the school experience. We are lucky to be in an area so rich with activities. 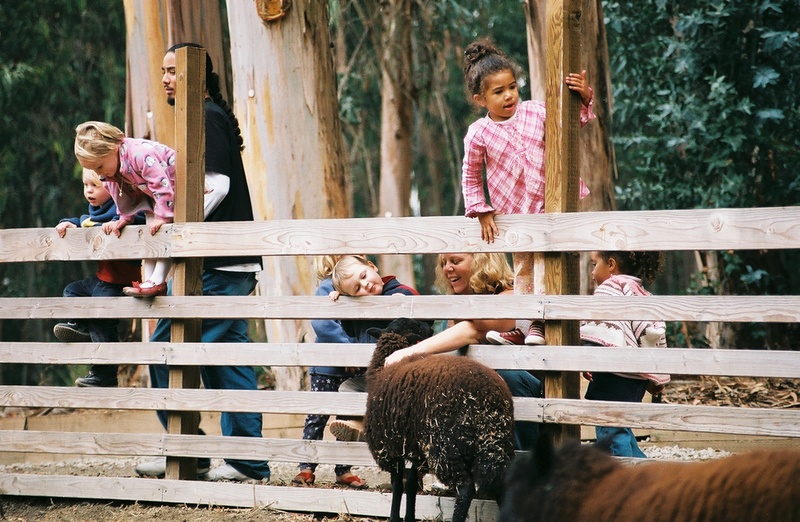 New School kids take field trips to places like the UC Berkeley campus, Live Oak Park, the Adventure Playground, Tilden Park, gymnastics, swimming lessons at King Pool in the Summer, the Berkeley Marina, the Ohlone Greenway, and the Edible Schoolyard Garden. Each classroom takes advantage of the opportunity to get the children out into the world. Whether it's the 2's going to the park once a week and surveying the neighborhood on their short walk, or it's the 4's heading out to the Berkeley Marina to learn about the Bay, there's always something new to talk about and learn. Learning about nature and the environment has always been a part of New School. The children tend a garden that thrives in a plot reclaimed from sandy soil. Worm composting has become a fascinating fact of school life. The children observe the life and development of butterflies, frogs and a myriad of insects. New School is structured to allow a maximum amount of freedom for each child within the limits of responsibility. This means that the children are allowed to choose among activities and move between outside space and inside at will. The notion of responsibility means that the children may not hurt themselves or others and implies that the school is run on a contract of trust between the teachers and students. The school is team-taught and based on the concept of an open classroom. The average tenure of our teachers and staff is 15 years. Parent meetings, special projects, and parent-teacher conferences supplement our communication network. Parent input is very important to us. We are open Monday through Friday from 7:15 AM to 6 PM five days a week. Preschool classes are divided into three groups spanning the ages 2 to 5-1/2. Most preschool children are here full time. We also have a K-5 school-age program offering before and after school care. This program is a wonderful way of extending our New School community and provides an opportunity for a secure transition to the larger school world. One of the most important tasks for preschool children is forming peer relationships. By having the children participate in a great number of creative activities, we are able to help each to develop strong feelings of self-confidence and self-worth. The staff is involved, consistent, sensitive, supportive and caring. Through careful intervention between children in conflict situations we facilitate the socialization process so that children learn the importance of sharing, compassion, and honesty, and learn to recognize their feelings and verbalize them. The warmth and respect shown by the staff to the children combined with the unleashing of their creative powers and the learning of specific skills are powerful ingredients in the development of happy and productive personality. We want our children to feel empowered by their experiences here and begin the process for a life-long commitment to the struggle for peace and social justice. We have a definite and strict food policy. We serve whole grains and food with no sugar, no preservatives, no artificial colorings or flavorings. We do not serve meat so that vegetarian children can partake freely. There is a snack at 10:30, 3:30 and at 5:00. Parents contribute to the morning snack by bringing in fruit, veggies, cheese, raisins, nuts, etc. once a week. The afternoon snack is provided by the school and is a hearty one; for example, brown rice and tofu or green noodles and salad. We ask that parents, when sending snack or lunch, follow our guidelines and send only wholesome food.